In this webcast, learn what it takes to put together a best-in-class B2B magazine. The editors of the two Magazine of the Year Azbee Award winners (QSR and Security Management) will share an inside look at their production process and strategy, offering tips on creating a B2B publication that is insightful, interesting, and innovative. 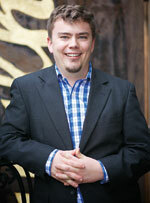 Sam Oches is the award-winning editorial director of Food News Media, publisher of QSR and FSR magazines. A graduate of the E.W. Scripps School of Journalism at Ohio University in Athens, Ohio, Sam previously served as editor in chief of Southeast Ohio magazine and as managing editor of QSR. During Sam’s tenure as editor, QSR has been recognized as a Gold Eddie Award winner by Folio and as Magazine of the Year by the Azbee Awards, which honor excellence in business journalism. He’s a past president of the International Foodservice Editorial Council (IFEC), a past board member with the American Society of Business Publication Editors (ASBPE), and current board member with the ASBPE Foundation. His foodservice insights have been shared in national media outlets such as the New York Times, USA Today, National Public Radio, and CNBC. He lives in Durham, North Carolina, with his wife and daughter. Teresa Anderson is vice president of editorial services at ASIS International and editor-in-chief of ASIS’s flagship publication, Security Management magazine. ASIS International is dedicated to increasing the effectiveness and productivity of security professionals by developing educational programs and materials that address broad security interests as well as specific security topics. 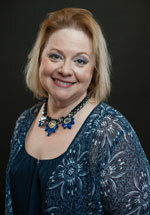 Teresa is also volunteers as vice president of the Association of Business Publication Editors, a professional association of B2B editors, designers, and writers.